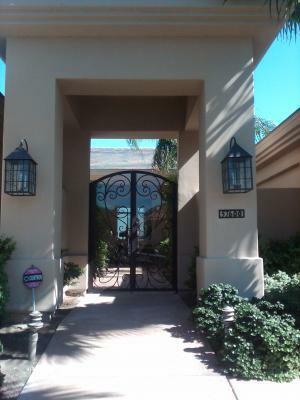 Check out our newest install of a courtyard gate! This discerning customer wanted a custom wrought iron gate but wanted a solid feel without closing in the courtyard area. After building the ornamental iron work we built the frame to accommodate this tinted glass giving this custom entrance a "cool" feel for the Summer!! Here at Signature Iron Doors we do not just build doors, gates, garage doors and railing...we build quality and relationships!! Please contact us to see if we can help you. 855-388-3535.